Social networking has become a way of life now. If you are not on a social network it seems to the world that you just don’t exist. Social media is a great invention since it has helped many to reach out to the world at large easily. Marketing, get-together, reaching out for social causes all happen in social media and networking sites. Just as much good things happen there, they have a darker side also. Internet has unlimited possibilities which is being explored every minute by millions of people around the world. Social media websites have become a great way for communicating easily to a group of similar minded people. Facebook is where people from all walks of life meet virtually and exchange ideas and information. The best part about Facebook is that it is available free of cost and is very easy to use. Its popularity is such that most of the mobile phones now have an inbuilt Facebook application to attract customers. LinkedIn is a social media website that emphasizes on building relationships. It is considered more of a career building and guidance network. MySpace is being used more by those in the entertainment industry. Digg is more about sharing information and digging news. Releasing information related to anything and everything is what Digg concentrates on. Twitter is another popular micro-blogging website commonly used by famous personalities and news channels to express their opinion on various issues and discuss about the same. It allows common people to ‘follow’ whom they like and get information as and when they post their ideas on twitter. Twitter is also available in-built in most of the mobile phones. Social media websites have changed the way people express themselves. If you want to tell the world where you are and what you are up to you can just use the options available in your social networking website and shout it out to the world. It is updated live and your ‘friends’ can see it within seconds. Information, photos, videos, web site links and GPS location, you can share everything on web 2.0 technology based websites and tell the world more about yourself. Though social media websites have helped people their long lost friends and got people together for many social causes, they have few grave disadvantages also. Since everything about you is available to anyone who has access to the website, there are chances of the data being misused. There are many cases being registered where people use fake profiles, especially those of famous personalities, to cheat others. There are also cases where a particular profile is hacked and their friend-list and other information are misused. Another issue people face is that people around you know what you’ve been up to through your social media updates. Your life would become an open book to the society. Of course it is up to you to decide what information you provide for the public to see. 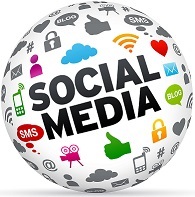 How to avoid getting into trouble with social media networking? Most of the social media networks are improving their security periodically. Users can set what information should be shared among which group of people in most of the websites. Though security is provided in the websites many people are either unaware of it or just do not bother to take trouble managing the privacy settings. Users can also restrict doubtful members from accessing their information. Social media apps and websites are very popular especially among youngsters now. It is bringing down the distances between friends and relatives to a great extent. ZenGo! Web Services is a website development company offers Web 2.0 technology solutions for social media applications like CMS, ecommerce, business networks, blogging platform and community portals. ← Previous Previous post: How can I Build an iPhone App for My Business?